NASA’s Opportunity Mars rover, 14 years past its original 90-day design life, has dropped out of contact with Earth after powering down everything but its master clock in a bid to weather a huge dust storm that is blotting out the sun, preventing the solar-powered rover from recharging its batteries, mission managers said Wednesday. Engineers are optimistic Opportunity will survive its trial by dust, but given its age and their emotional attachment to the hardy robot, they will not rest easy until skies clear enough for power levels to rise, allowing the rover to finally phones home. 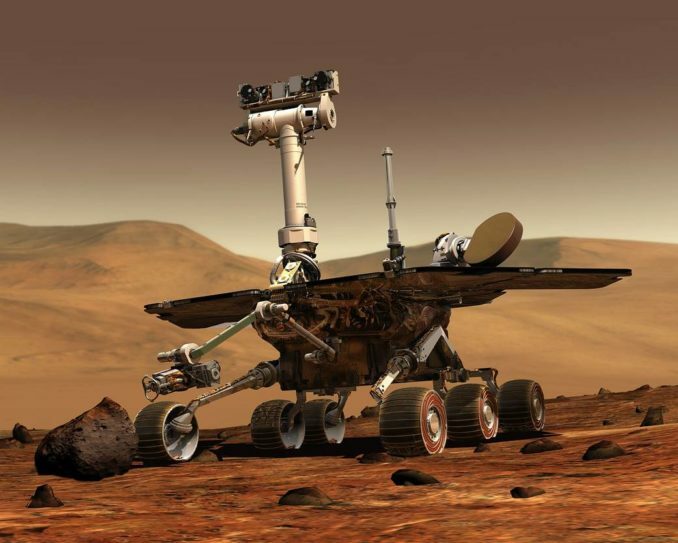 “This team has a very strong bond with the rover, a very tight emotional connection with it,” said John Callas, Opportunity project manager at NASA’s Jet Propulsion Laboratory in Pasadena, Calif. “And we’re concerned about it, obviously. First detected May 30, the dust storm has been growing rapidly and is now expected to encircle the entire planet in the next two or three days. When the storm was first detected, Opportunity’s batteries were delivering 645 watt hours of energy as it explored a channel-like depression in the rim of a large crater. Two days later, as the storm intensified and spread, energy levels had dropped to 345 watt hours and the day after, to 133. The steadily dropping power levels forced mission managers to suspend science operations on June 8. 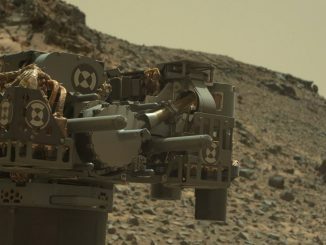 Two days later, a final transmission came in from Opportunity showing the energy level had dropped to just 22 watt hours, which would be expected to trigger a low-power fault mode in which everything but the mission clock is turned off. An attempt to contact Opportunity Tuesday was not successful. 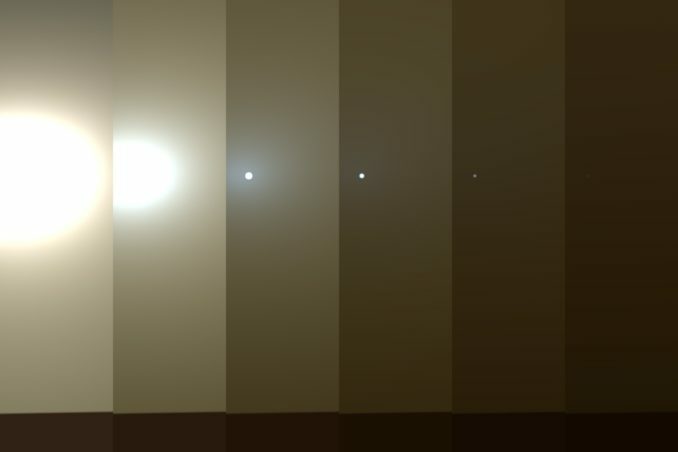 Callas said the dust storm had essentially turned day into night for Opportunity as the opacity of the atmosphere, a measure of how effectively the dust is blocking out sunlight, climbed to record levels. A major 2007 dust storm had an opacity level, or tau, above 5.5 while the current storm had an estimated tau of nearly 11 as of June 6. 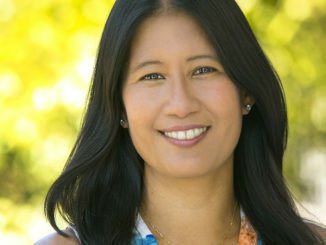 In low-power fault mode, Opportunity’s master clock is programmed to wake up the flight computer periodically to check the battery charge but if it’s not sufficient, the computer will put itself back to sleep and the clock will set another alarm to wake it back up for another check. “Our expectation at this point is that the rover has gone to sleep, it’s in this low-power mode and it will remain in that low power mode until there’s sufficient energy to charge the batteries back above a certain threshold,” Callas said. If power levels drop far enough, even the clock will stop ticking. In that case, the rover will simply remain asleep until the sky clears and the battery charge increases enough to trigger safety routines that will wake up the flight computer. But without the clock, Opportunity would not know what time it is. In that case, the computer is programmed to periodically check to see if the sun is up and if so, to phone home. Flight controllers have no way of predicting when such a signal might come in, but they plan to listen around the clock. In the meantime, the rover must endure freezing overnight temperatures, putting thermal stress on Opportunity’s internal components. Callas said the rover is equipped with eight one-watt plutonium heat sources and simulations indicate it should be able to withstand the lowest expected temperatures without major damage. “Because the rover’s not active, it will be getting colder,” Callas said. “The good news there is the dust storm has warmed temperatures on Mars. We’re also going into the summer season, and so the rover will not get as cold as it would normally. Launched from Cape Canaveral on July 7, 2003, Opportunity landed on the red planet five-and-a-half months later, on Jan. 24, 2004, three weeks after a twin rover, Spirit, bounced to an airbag-cushioned landing on the other side of the planet. Both landers were built to last at least three months in the harsh environment of Mars and while mission managers were hopeful they would exceed their design life, there were no guarantees. But three months quickly came and went with no major problems. 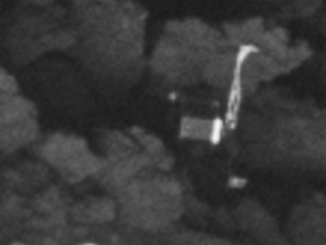 Then both rovers made it a full year, then two. And so it went, to everyone’s ongoing amazement. Spirit finally went silent on March 22, 2010, stuck in deep sand and unable to favorably orient itself so its solar arrays could face the low-altitude sun during the harsh martian winter. But Opportunity, known to its many fans as “Oppy,” remained in relatively good health and in February it marked its 5,000th Martian day, or sol, more than 14 years after landing. It’s had its share of problems over the years — its flash memory no longer works, two instruments have failed and problems with its two front wheels have forced it to drive backwards most of the time — but the hardy robot has continued to collect valuable science, setting new records with every sol. But the current dust storm is a definite challenge. The nuclear-powered Curiosity Mars rover, operating in Gale Crater well away from Opportunity, is not expected to be impacted by the current storm.